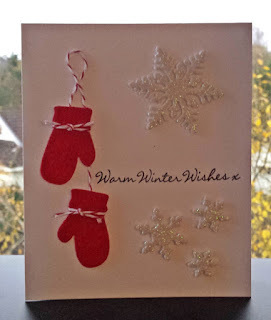 Hos Dorte: W and X are for...A DT card for ABC Christmas Challenge. 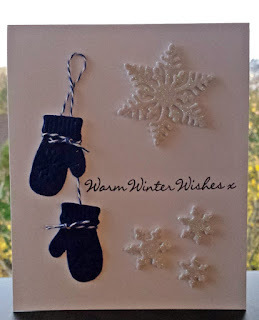 W and X are for...A DT card for ABC Christmas Challenge. 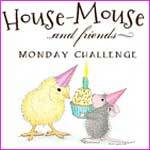 Hi and welcome to a new challenge at ABC Christmas Challenge. Just don't forget the Christmas theme. there was no sentiment with the words 'X-mas. The mittens are cut out in felt. the die I've used is from 'Kort og Godt'. Giving a $10 gift certificate. There's also this prize from Sharon, the challenge host. This is such a great card design. 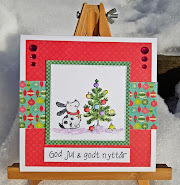 Love the bright pops of color and the dimension from the snowflakes. It's beautiful, i love the baker-twine at the gloves. Tusen takk for at du deltar i utfordringen vår hos Kreativ Scrapping! Something Warm, a DT card for HM&FMC.